Many parents know that extracurricular activities come with many benefits. They can help your tween learn new skills, make new friends, destress from school, and even discover a hidden talent or life-long passion. But the truth is many extracurricular activities are very expensive, and not every family can work their price tag into the budget. The good news is there are many after school activities that are budget-friendly, and still offer the same benefits. If your child hopes to participate in an after school activity but money is an issue, consider the ideas below. School Sponsored Activities: Many middle schools offer a number of school-sponsored activities, including sports clubs, theatre, chorus or student government. Be sure you and your tween investigate activities offered by your child's school as these options are generally free or nearly free. Some of the activities might be seasonal, which can give your tween the opportunity to participate in a number of activities throughout the school year. And, if your child's school doesn't offer a club or organization that interests him or her, don't give up. 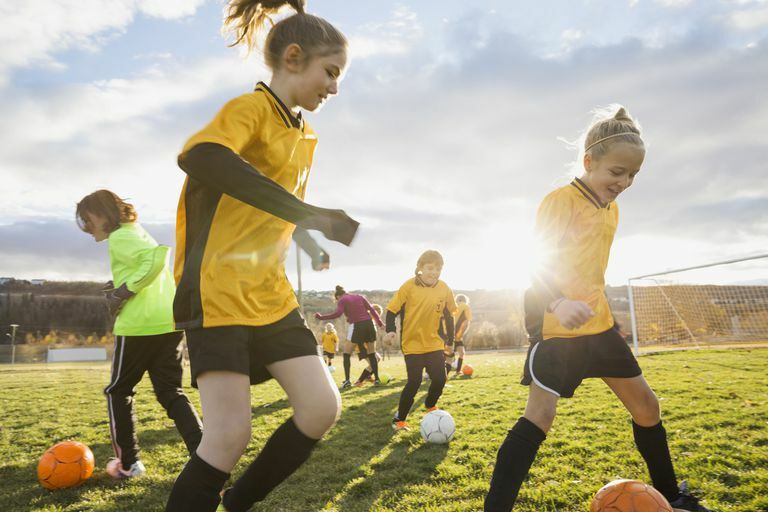 Many schools are willing to allow students to start their own clubs or intramural sports teams as long as there is an interest, the club is open to everyone, and a teacher or other adult is willing to support or supervise the group. Other school options might include volunteering to help teachers, coaches or other staff in the office, science lab, or school library or audiovisual (AV) department. Consider Civic or Youth Organizations: While it's true that many after school activities can cost hundreds, even thousands of dollars to participate, there are a number of options that are much less expensive. Church youth groups, and civic groups such as the Girls Scouts and the Boy Scouts, can be very affordable to families on a budget. In fact, registration fees may be waived for families under a certain income. Church groups can give your tween the opportunity to participate in group activities, field trips, sleepovers or lock-ins and other fun events. Participating in a civic organization such as the Boy Scouts or Girl Scouts will help your child learn new skills, develop a sense of responsibility, and enjoy outdoor sports and other outdoor activities. Consider a Home Approach: While joining a club or other group can be great, parents should know that they can provide many of the same opportunities to their child right at home. Consider organizing your own after school club for your child and his or her friends. The children can plan their events and parents can take turns supervising or chaperoning. Allow the children to figure out ways to fundraise, choose things to do, and find their own club mission. The experience will give them plenty of opportunities to make a difference, learn new management skills, and discover new interests. Also, consider asking parents you know to share their talents and knowledge with the club. You could ask one parent to help the children learn how to bake, and another to show them about gardening, woodworking, or teach them tennis or soccer. Consider Volunteerism: Your tween can make a difference in your community and learn new skills and interests by volunteering. Seek out volunteer opportunities at your church, school, or local YMCA. Your child might enjoy working special events or helping to organize a fundraiser. The experience won't cost you any money, and will still help your tween learn more and discover things about him or herself. Volunteer opportunities might include tutoring younger children, helping out at the local animal shelter, visiting a local nursing home, or taking on a large project that would benefit the community. Seek Out Recreation Sports Teams: Any parent that has looked into competitive sports teams or traveling sports teams knows how expensive they are. Some of these programs cost thousands of dollars, and that's before you get into the cost of uniforms, food, and overnight hotel stays. But don't abandon sports if you can't afford to participate in a competitive league, there are other options. Seek out recreation leagues at your local YMCA or through your local community center or field house. These leagues can be a great learning experience for beginners, and give more knowledgeable and skilled players the chance to help other players, and perhaps to help coach or referee. Go to Your Local Library: Your local library is a great place to find activities, lessons and even clubs, and most of the time the events are free. Your library may offer lessons in knitting, photography, or web design. Many libraries also have reading clubs or book clubs for preteens. Ask about opportunities, or approach the librarian about starting a club that might appeal to local tweens—such as a science fiction club, local history club, or a non-fiction writing club. Consider Online Lessons: Does your child want to learn how to play guitar, or draw? Maybe your tween is into making her own cosmetics or wants to learn how to sew. If your tween is interested in a new hobby or passion, your computer may be your new best friend. Youtube, blogs, and websites offer any number of introductory classes online, and many of them are free of charge. While an online class or video doesn't give your child the same one-on-one experience that private lessons do, they are still a great place to begin and learn the basics. It's also a great way to judge your child's interest and dedication to his or her newfound hobby. Try the Community College: Does your tween want to take art lessons but you're finding them too expensive. Would you like to expose your child to a foreign language but can't afford a tutor? Your local community college may allow your tween or teen to participate in elective or non-credit courses in any number of subjects. The college may even offer one-day immersion courses in art, history, music, cake decorating, or theatre. Contact the school's admissions department to learn about programs that might be available to your child. Your local recreation department might also offer classes in everything from website programming to art classes to fan clubs. Ask About Scholarships: If your child is wanting to participate on a sports team or another expensive activity, don't dismiss the idea immediately. Many organized activities offer scholarships to families based on need. Be sure to ask about scholarships or a sliding scale fee. Another option is to see if you can reduce your child's tuition if you volunteer, coach, or help support the team another way, such as by driving to meets or by working concession stands during the events. If your child is very talented in a certain sport additional scholarships might also apply. Consider Bartering: Bartering sounds old-fashioned, and it is, but that doesn't mean it can't work for you. If your child wants to take piano lessons but you can't afford them, consider asking the teacher about bartering in lieu of tuition. If you own a landscaping company you might be able to barter free landscaping or mulching for the lessons. If you bake great cakes you might consider supplying the piano teacher with a year's worth of confections. Consider what you can offer, and see if you can arrange a barter agreement. Consider asking your tween to help pay -- your child may decide that the activity isn't that big of a deal to him or her, and that it's not worth the money. That can help you prioritize options and avoid paying for something that your tween could live without. If your child wants to play travel soccer in the fall, and travel softball in the spring, you may need for your tween to pick just one. Sometimes you just have to say, "No." If you can't afford private violin lessons explain your situation to your tween. He or she may be disappointed, but will likely understand. Work together to find activities that you can afford, and enjoy and learn from, maybe even activities that you can do together!